Aisha, the wife of Prophet Muhammad (peace be upon him), is considered one of the greatest scholars in Islam—and for good reason. She conveyed over two thousand narrations of the Prophet (peace be upon him), providing insight into his actions and demeanor inside the home, including his sleeping habits and treatment of his wives. After the death of her husband, she dedicated her life to teaching others about Islam. Many prominent companions of the Prophet (peace be upon him) came to her to gain a better understanding of the intricacies of the rulings in the faith because of her intelligence and mastery of jurisprudence. Aisha clarified matters on inheritance that deeply dealt with mathematics. She was also highly knowledgeable in medicine, poetry, and history. Abu Bakr was the Prophet’s right-hand man. He stood by him when others did not, and he was his best friend. This close companionship meant Aisha also grew up in the company of the Prophet (peace be upon him) and eventually married him. There are many narrations detailing the love between Aisha and the Prophet (peace be upon him), and it serves as an example for how Muslim marriages should be today. In another account, Aisha placed her chin on the shoulder of the Prophet (peace be upon him) in order to watch some kids playing. He asked her if she was done watching, and she kept saying no so she could still rest on his shoulder (Jami at-Tirmidhi). 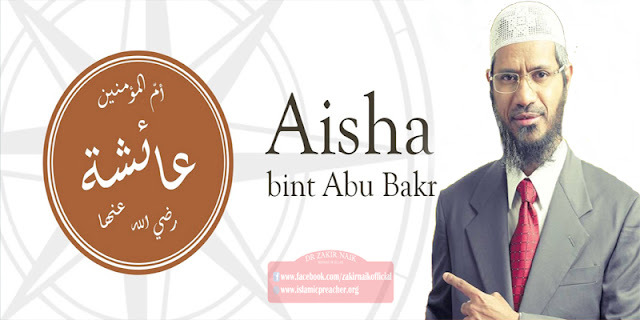 During one of the expeditions the Prophet (peace be upon him) embarked on, Aisha got left behind from the group. Another Companion realized this and helped her return. This unfortunately resulted in false accusations spreading about Aisha, and it even caused an issue in her marriage with the Prophet (peace be upon him). She became ill after returning from the journey and was not even aware of the rumors spreading about her. When the news got to her, she became extremely sad. She went to stay with her parents and all the while, she maintained her innocence though few believed her. And indeed, God revealed verses in the Quran proving Aisha’s chastity and rebuking the slander. Aisha was very beloved to the Prophet (peace be upon him). In his final days in this world, he requested to stay in her room over his other wives’. He had asked for a tooth stick, which he would use to clean his mouth. Until this day, Muslims try to upkeep this habit of the Prophet (peace be upon him). Aisha chewed the end of the stick to ensure the bristles were soft before giving it to her husband, who then used it to clean his teeth.